Saturday 5th October - After holding off on Islington for the first 6 months, Team List has been all over it recently (read about the last Upper Street crawl here). 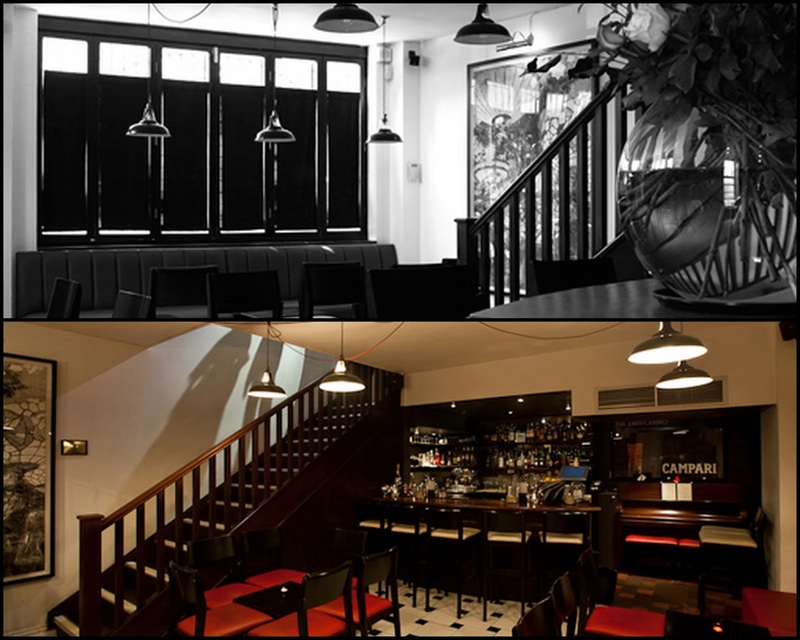 69 Colebrooke Row ("The Bar with No Name") was one of the first places to be added to my original list, and I finally made it there with Lauren at the start of October. 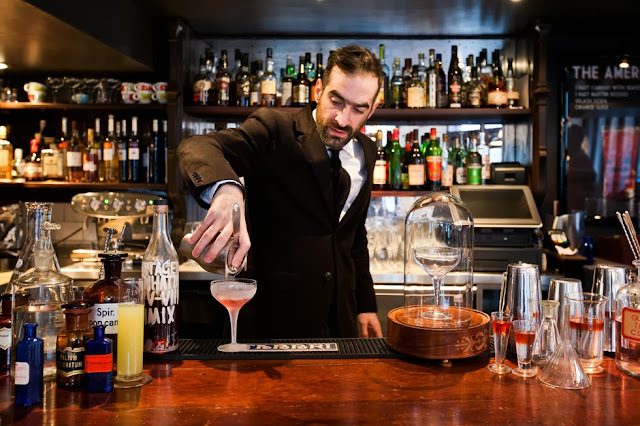 Tony Corigliano is the master mixologist behind 69 Colebrooke Row, and he is one of the most respected members of the cocktail world. He often works closely with chef Bruno Loubet - Zetter Townhouse and Grain Store are their two London collaborations. Here though, it is all about the drinks and the atmosphere. Despite what you may have read, it is not hard to find at all, and doesn't look like a run down apartment from the outside! It is, however, a very small space, so booking ahead is highly recommended. Despite it only being 6.30, the bar was packed and people seemed to have been there for a while. We were squeezed in next to the door, which brought a welcome breeze every few minutes. The menu is relatively short with 12 house cocktails listed, but I'm sure one of the lab-coated bartenders would be happy to go off piste. Two drinks that stand out instantly are the Prairie Oyster (see below) and Terroir. The latter is described as "distilled clay, flint and lichen, served straight from the bottle" - how could I resist? Our friendly waiter brought over a sample and talked us through the thought process behind it. The word terroir normally relates to wine, specifically the land / soil that the grapes are grown in, which has a big impact on the wine's flavour profile. Tony has essentially distilled terroir and bottled it, with a little sugar to take the edge off! It is very drinkable, but actually a little too sweet for me - don't leave without giving it a try though. The Prairie Oyster is Tony's take on the classic raw egg and tabasco based shot of the same name, which is often used as a hangover cure. 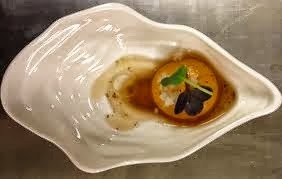 Tony's version replaces the raw egg with a "tomato yolk" and plays up the oyster link with an appropriately shaped dish and an oyster leaf on top. It ends up as a bizarre, almost edible Bloody Mary which can be yours for £5.50. We moved on to a Death in Venice (Campari with grapefruit bitters, Prosecco and an orange twist) and an Avignon (Merlet Cognac, Camomile Syrup and Frankincense). The Avignon was the more interesting of the two, with the frankincense having a real effect - "It smells like Dorset at Christmas", says Lauren. The drinks are of the highest quality, though I think I need to know a bit more about the art of mixology to really appreciate everything that is going on. I should probably sign up to one of their masterclasses which happen fairly regularly - check the website for details. We enjoyed our stay but decided to move away from £9.50 drinks for a bit. It's an obvious date spot, though I would save it for people that really know their cocktails. 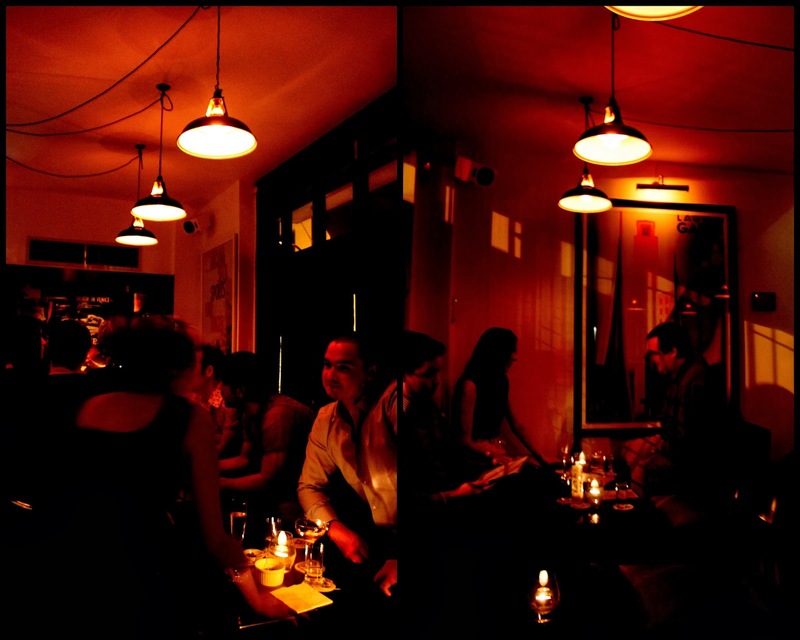 Keep your eyes peeled for Tony's next bar which will apparently be called Air Mail, according to Barchick. Mary joined us as we moved on to our second stop of the evening, which is probably as far from 69 Colebrooke Row as you can get (in style, not distance). 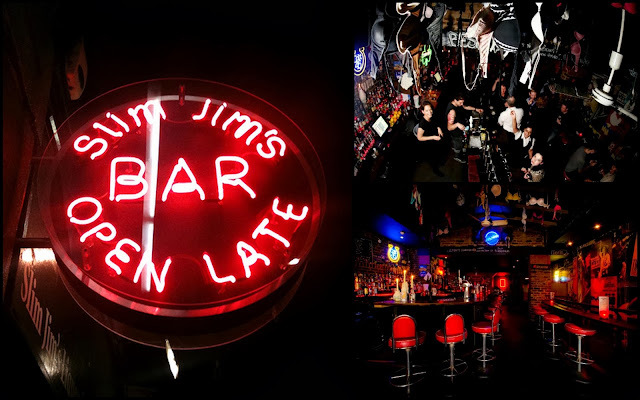 Slim Jim's Liquor Store is a popular rock and roll dive bar, sandwiched between Upper Street's delightful cafés and restaurants. You are transported to LA as soon as you step inside. As one review on the website says, "It smells like grunge sounds!". One of the first things you will notice is the array of bras hanging from the ceiling - anyone that is willing to hand over their bra will receive a drink on the house apparently. The bar is incredibly well stocked, and it does apparently work as an off license too, though I'm not sure if this is actually true. I would have thought that it would be more of a bourbon and beers type bar, but a lot of effort went in to Mary and Lauren's cocktails. The bottled beers are more interesting than the draught options, and I went for a Sierra Nevada Kellerweis which I haven't seen in London before. This is the place to rock up to towards the end of the evening, especially from Thursday-Saturday when it stays open til 3am, with no suits / ties / formal wear allowed. There will either be a DJ playing classic tunes, or a free jukebox for all to enjoy. We were very taken with Slim Jim's and plan to return en masse soon, after stopping off at Primark first for some bras of course. 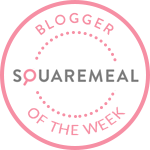 After a few drinks, we were in need of food, so we wandered along Upper Street, past the fully booked John Salt, before veering off towards Essex Street to check out Neil Rankin's Islington pub/restaurant, Smokehouse. 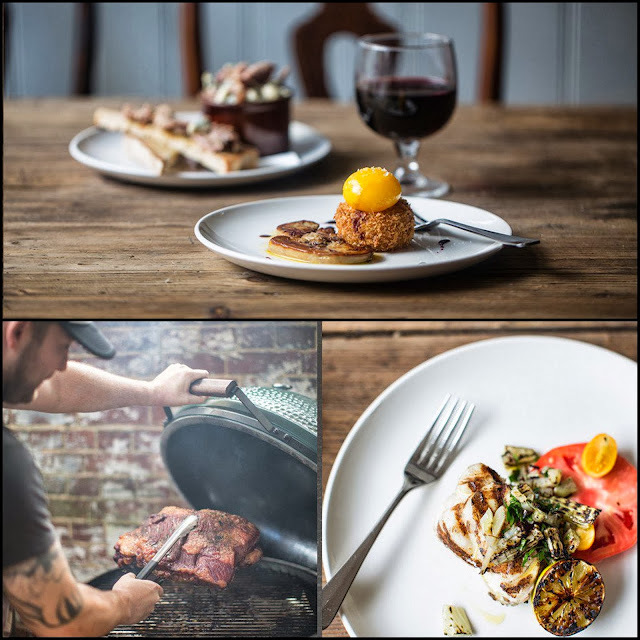 Neil Rankin made a name for himself as a BBQ and butchery maestro with stints at Pitt Cue Co and John Salt, so there was a lot of expectation for Smokehouse. I was too slow off the mark to make it to the soft opening over the summer, and watched on with increasing jealousy as it received rave reviews. We were fortunate to get a cosy table in the bar area that looked out into the stunning fairly lit garden - a magical place to drink which needs to extend it's licensing hours once they have made friends with all of their neighbours. It felt like we had escaped the city, so we settled in for the rest of the evening. We were looked after by two superb waiters who seemed to be competing to be the most entertaining. I could attempt to recount some of our bizarre conversations but they wouldn't come across as well on here. We did particularly enjoy the enthusiasm that one of them showed when asked to go through the silly pudding menu which includes Vanilla Vanilla Vanilla, Krun Chee Nut and the mysterious Friday Pie. He convinced us to get the Friday Pie (I won't spoil the surprise, but it is delicious) and then brought an extra giant spoon to the table for himself! Anyway, back to the meat. I was torn between the Onglet, the Peppered Ox-Cheek and the Smoked Pork Rib-Eye. The menu is one of those "I want to eat everything" lists, but we all somehow ended up with the Aberdeen Angus Onglet which comes with Charred Vegetables, Roast Potatoes, and a Smoked Bearnaise sauce, though the sides aren't listed. It was easily one of the best meals I have eaten this year, and I've scoffed a fair amount in the last few months. 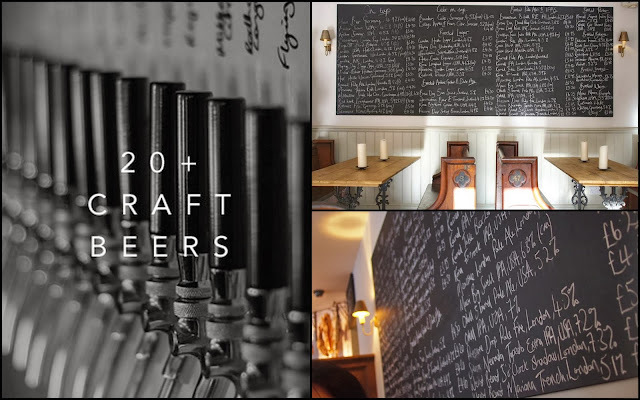 As well as having fantastic smoked meats to shout about, they have over 20 craft beers on tap and many more in the fridge. I recognised one of the barmen as we had briefly met in the Earl of Essex on my last trip to Islington. He was very generous with tasters, and passed me samples of Mikeller APA, Rogue Dead Guy Ale and Redhook Longhammer IPA amongst others. It's not the cheapest way to try craft beer in London, but it is certainly one of the best combined beer and meat hangouts. 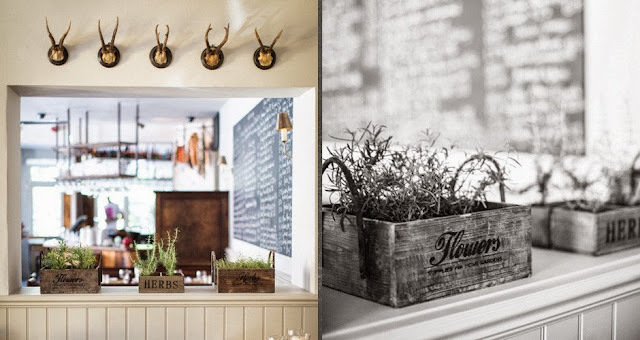 Smokehouse should be at the top of your to-do list. Team List - Maggie turned up right at the end as usual for a sneaky point, whilst Mary gets 2 (bringing her into the Top 10) and Lauren gets 3 (edging towards 50 points). I think many members of Team List would be suitable candidates for a new venture called Whitenighter. People who are visiting London can book a knowledgeable Whitenighter host who will plan an evening out, avoiding tourist traps and discovering some of London's hidden gems along the way. They are also currently running a competition for visitors travelling to London, to win places on their London Safari night out - click HERE for more details. If you are a Londoner who thinks you have what it takes to be a Whitenighter, you can apply on their website. 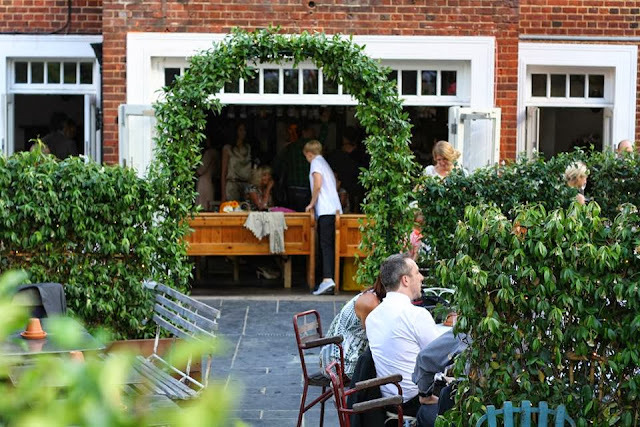 It's a fantastic idea and will hopefully give tourists a better experience of London's food and drink scene.